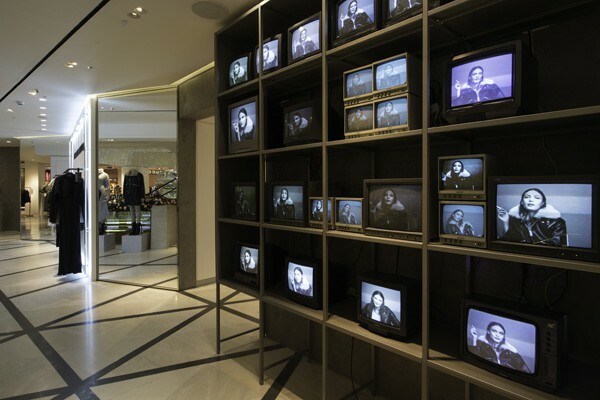 All Saints have recently teamed up with Selfridges to reveal a premium All Saints Limited collection. In partnership with Millington Associates and Jack Flanagan, this pop-up showcase is part of the luxury designer floor in Selfridge’s London flagship. Far removed from the brand’s usual retail design style – think industrial and unstructured spaces with a preference for the colour black – the pop-up features decedent golds and premium whites. 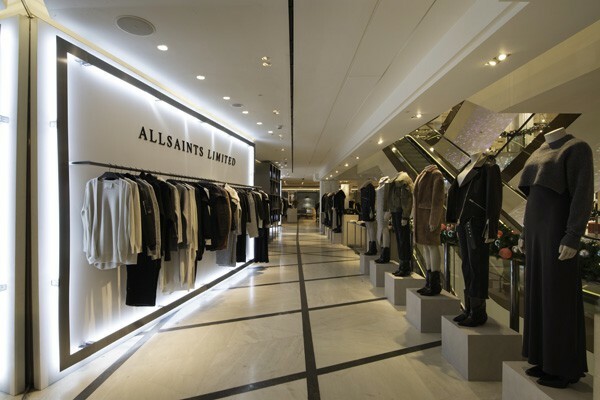 This new concept in the All Saints’ Limited pop-up highlights the exclusive range as well as the craftsmanship that has gone in to producing each of the limited garments; allowing the richness of the collection to be the central focus for potential customers. The space features a video wall - with a difference! Vintage television sets from the 80s and 90s are displayed on a wall unit, produced from concrete and brushed metal. Each of the televisions are showing the same film on repeat, but with varying start times. This disruptive video wall hopes to attract the attention of customers, and appears to be achieving its goal. To add to the premium aesthetic of the collection, each garment has been hand numbered and with only limited stock at this pop-up, there is a definite air of exclusivity. Of course, with any premium product there is also a premium price tag. We look forward to seeing All Saints next step in retail design! Kanye West opens 21 pop up shops around the world!